It looked like Doheny was winning wide on the cards when the referee ultimately stepped in to stop the fight. 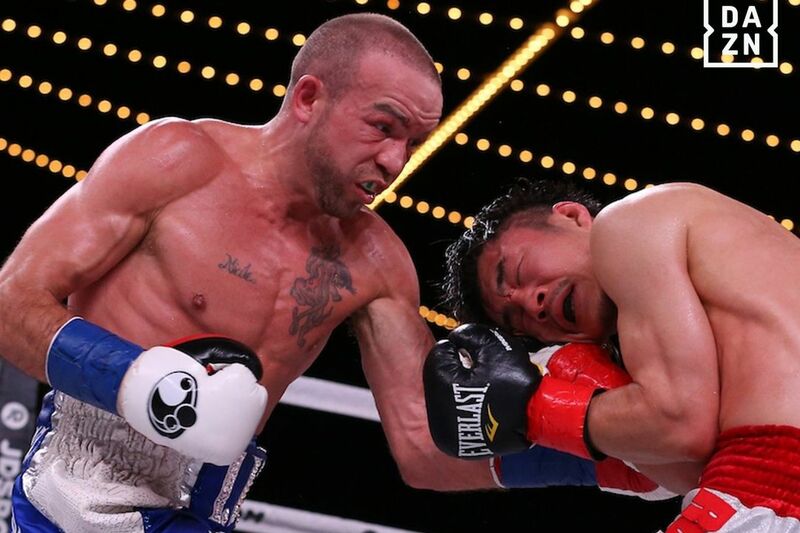 TJ Doheny successfully defended IBF super bantamweight title tonight on DAZN, stopping Ryohei Takahashi at 2:18 of Round 11. Doheny was clearly in control of the fight, sweeping all the rounds on my scorecard, but Takahashi was still game all night long, throwing punches in bunches from the beginning to the end. The only problem for Takahashi was that while he had a good motor, he just didn’t have the craft of experience to really cope with Doheny. Doheny would drop Takahashi in the third round, but Takahashi never got down on himself, continually coming forward and trying to score the come from behind win. But after a sequence in the 11th round where Doheny landed a few shots, the referee immediately stepped in to stop the fight, despite Takahashi not looking particularly hurt in that moment. But with the win Doheny (21-0, 15 KOs) said he’s ready for a title unification with fellow titleholder Danny Roman, with Roman in attendance to confirm that’s the next fight to make. while Takahashi landed only 80 of 583 total punches (13.7%).